This is a fast-paced and inspiring 5 1/2 days Cub Scout Leader Training course for leaders who want to learn more about Cub Scouting and how to provide the best possible program for their boys. 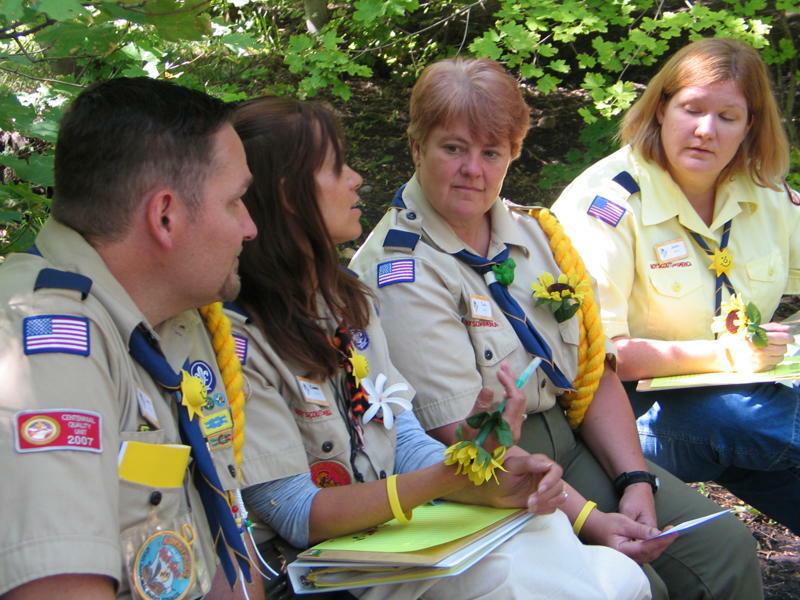 This training covers the very latest Cub Scout program information and inspires the use of "best methods" that will enhance Cub Scouting for boys and adults in local units. Family Odyssey is a unique approach to Scout leader training where adults attend Akela's Council or Wood Badge and youth participants can attend Timberline (NYLT - a coed course), while the rest of the family gets a great Scouting experience too. Families camp and eat most meals together. Bringing your family is optional. If your family attends, one parent would attend training while the other participates in family activities and watches over the kids. You must register for Akela's Council at this site as well as at the Family Odyssey site at the link above. Payment for course will only be taken at the AC registration page, so you won't pay twice though you'll register twice. ALL Cub Scout leaders and those responsible for Cub Scouting. THERE WILL BE NO REFUNDS ISSUED WITHIN 30 DAYS PRIOR TO THE COURSE.